Slow down, take a breath, and enjoy a relaxing evening at the Kennedy Mine Office overlooking Jackson on Saturday, August 25. It is a casual evening of live music, wine, and tasty bites. Explore local wines at multiple stations within the historic 110 year old Mine Office. 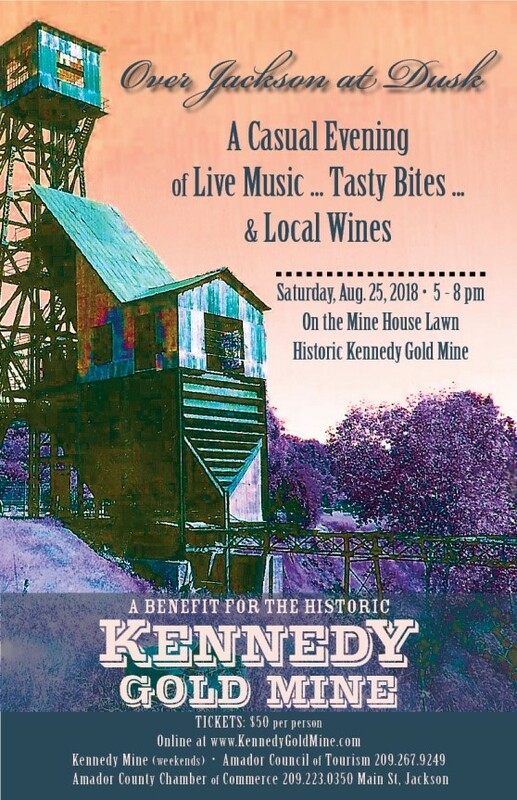 Pair them with small bites and enjoy the music of Windhorse as you overlook the iconic Kennedy Head frame and Jackson. This will be a wonderful opportunity to investigate different varietals – Alicante Buschet, Granache, Syrah, Barbera, Zinfandel – while all red they are each unique. Sample a variety of lighter wines - Rousasane, Rose, Viognier, Sauvignon Blanc – perfect for a summer’s evening. Take home a commemorative wine glass. Participating wineries include Bray, Cooper, Drytown Cellars, Fate, Helwig, Karmere, Scott Harvey, Sobon, Wilderotter and Yorba. 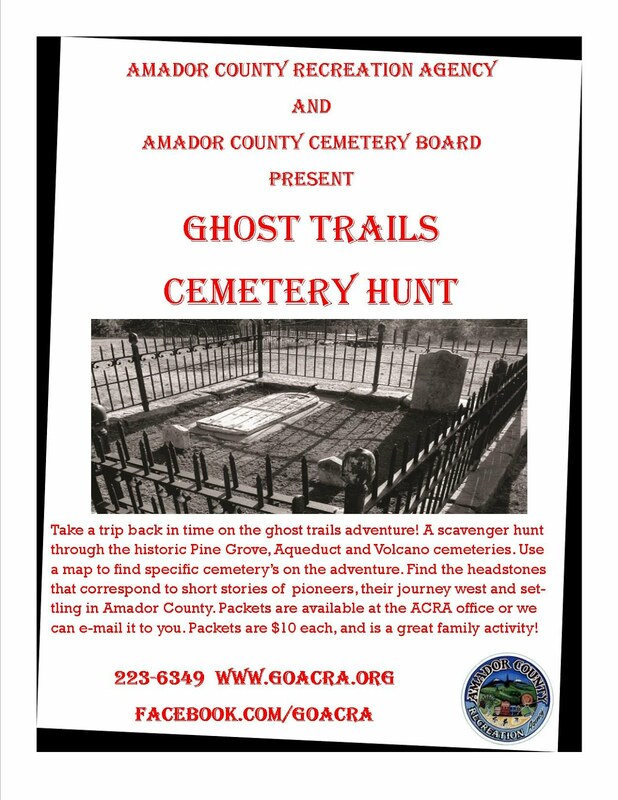 Tickets are available at Amador County Chamber of Commerce, Amador Council of Tourism, Kennedy Mine and online at events@Kennedygoldmine.com.